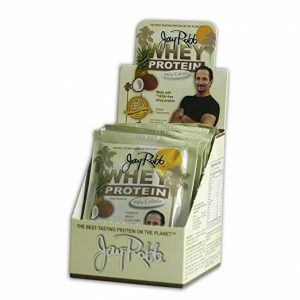 Blog Who are Protein Powders Right for? Let me tell you a story about two sisters who actively pursue a healthy lifestyle. Each sister has unique goals, but the they both share lifetime goal of maintaining a metabolism that supports a healthy body. One sister relied on primarily of meat seafood and dairy products for her protein source during her 100 plus pound weight loss journey. She continues to eat this way 7+ years later and maintains her leanness. The other sister eats mostly real food, but also enjoys the convenience of protein powders, and maintains her leanness as well. There are differing schools of thought on the topic of protein supplements. Obviously, protein powder supplements are not necessary for anyone. It’s a matter of preference. You might have guessed that I am the protein powder sister. 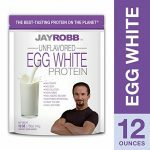 About 15 years ago, I found the convenience and palatability of a daily protein shake to work out well for my lifestyle. Every so often, I will stop making protein shakes or mug cakes in favor of more whole food protein sources, especially when traveling. Having the protein powder option available adds variety into my food choices. Protein supplements can be derived from cow’s milk, bovine collagen, soy or other plant sources or egg whites. There might be some other animal sources out there. Below is a review of the protein powders that I have used extensively and the pros and cons associated with them. Protein supplements from dairy sources. These include whey and casein. Both are great sources of protein and branched chain amino acids which aid muscle repair making them a great post workout choice. Both whey and casein are products of the cheese making process. All dairy products are roughly 80% whey and 20% casein. 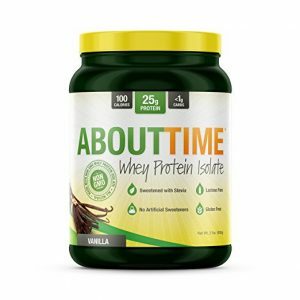 Whey is more quickly digested than casein. 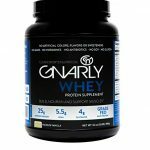 Whey is more commonly thought of as muscle building because of its quick availability in the bloodstream for recovering muscles. 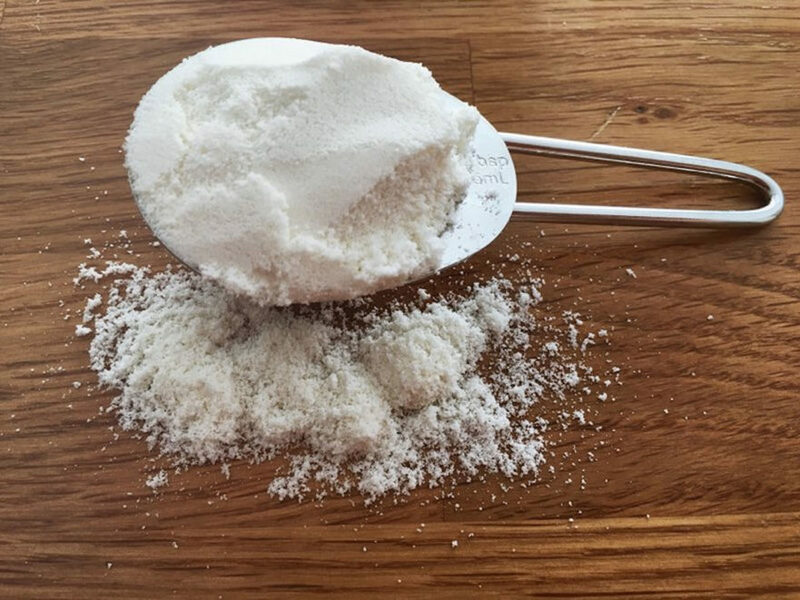 Casein is more muscle sparing because of its slow release into the bloodstream, this can be helpful to prevent muscle loss. It may be slightly preferable to choose whey as a post workout protein, and casein as a pre fasting protein (such as the last meal of the day) In actuality, it really doesn’t matter that much unless you are prepping for a bodybuilding competition. All dairy proteins review below are whey. What I don’t love about it: It is not organic grass fed whey. Does not perform well when heated for mug cakes. How I use it: In shakes or oatmeal. What I like: Taste is a winner. It is from grass fed organic cows. Free of artificial sweeteners. It tastes fine in hot oatmeal**. What I don’t love about it: It is expensive. It comes from New Zealand. I prefer to contribute to less of a carbon foot-print. Doesn’t heat well for mug cakes. 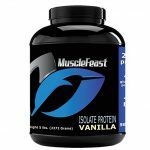 100% Grass Fed Whey Protein Isolate by Muscle Feast. What I like: Taste is a winner. It is from grass fed organic cows. It is free of artificial sweeteners. It tastes fine in hot oatmeal**. What I don’t love about it: It imported from Germany. The carbon footprint is still a more than a bit much for the northeast USA. What I like: Taste is a super winner. It is from grass fed organic cows. It is free of artificial sweeteners. It tastes fine in hot oatmeal**. It tastes well with everything from any fruit to root veggies to lettuces. What I don’t love about it: It is currently only available in single serve packets, making it expensive. Sometime I get it anyway for variety. What I like: Itis a casein and whey blend. Taste was ok.
What I don’t love about it: The deal breaker is that is is artificially sweetened, and not organic. Quest in its infancy only used stevia to sweeten its products. It has since changed it’s recipes and now uses artificial sweeteners extensively. Every quest product leads me to have a gas baby belly. How I use it: After trying once sample packet I deemed it not an option. **Note: When adding whey protein to oatmeal or any hot cereal add whey only after cooking to avoid a rubbery texture. When heated quickly whey can be become rubbery and distasteful. What I like: It is loaded with vitamins and fiber and is organic. It is free of artificial sweeteners. This is a gluten free product. It tolerates heating well for chocolate mug cakes. For the chocolate mug cake recipe click here. What I don’t love about it: The taste is ok in a shake with fruit or root veggies, but with oatmeal or hot cereals it is not palatable. How I use it: In shakes or oatmeal or mug cakes. How I use it: I don’t. I didn’t even finish the bag. What I like: This is free of artificial sweeteners and colors and is gluten free. It tolerates heat well. 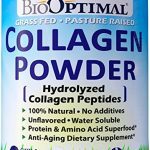 Collagen has the alleged benefit of improving growth and strength of hair and nails. Studies I found on this were inconclusive, but in my own experience, my hair and nails have shown significant improvement in 6 months of consistent use. What I don’t love about it: As a single protein source it would require several servings to meet protein needs for a single meal. 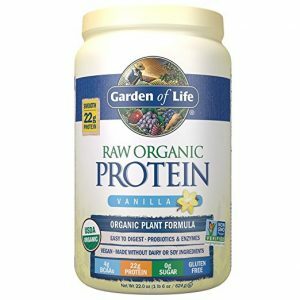 How I use it: I add a single serving along with whey or vegan protein to protein shakes or oatmeal. Occasionally I put it in hot black coffee and blend well with MCT powder. When it comes to sparring muscle loss, especially muscle loss due to normal aging (sarcopenia), getting adequate protein is more important than whole food versus protein supplement. For those who find protein shakes convenient, protein supplements can be very helpful For pureness sake, I do advocate for grass-fed, organic sources of protein whenever possible. NOTE: Protein powders from multi-level marketing (MLM) organizations are excluded because it would be a conflict of interest for me to participate in an MLM, and make an objective review. 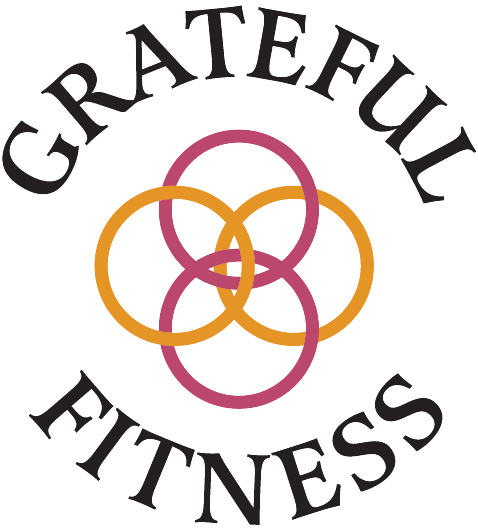 Grateful Fitness, and I do not support or have any involvement in any MLM products.